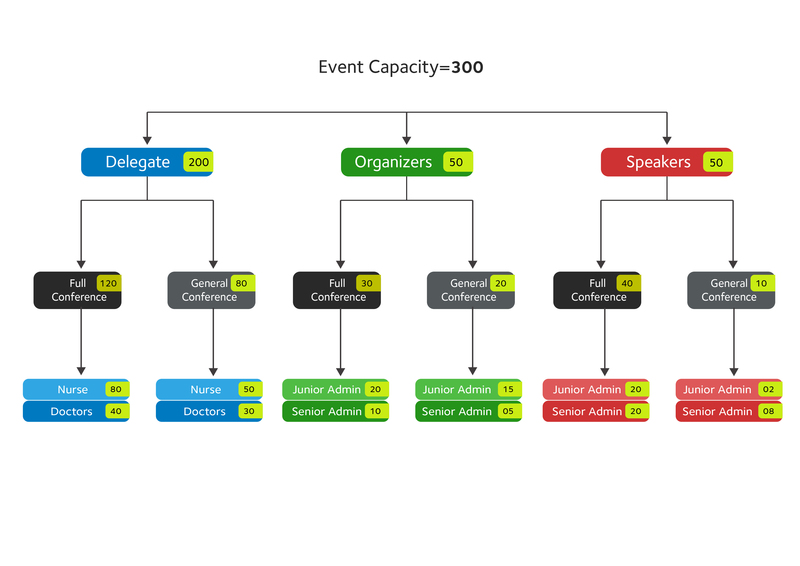 Forming rich registration hierarchy is vital to make your events organizing platform enter the increasingly competitive events industry. 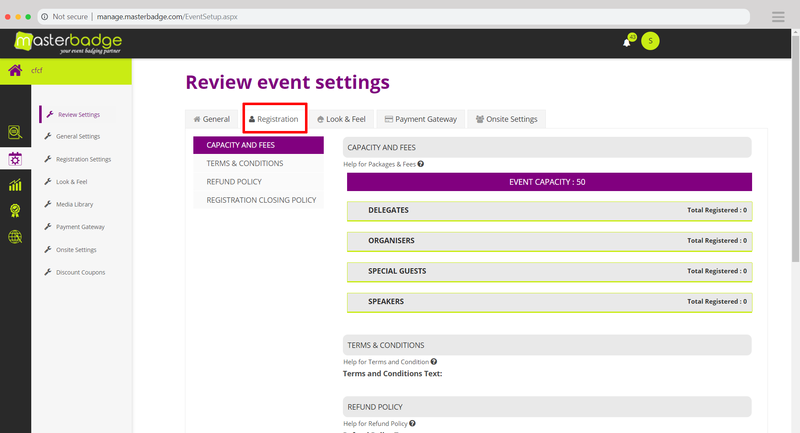 Creating clear and rich registration hierarchy is very initial to help you organizing your event or conference by categorizing your visitors into groups, distributing the capacity across multiple groups and determining the fees for each group in wide details. In the Registration type, you can mention the type and the description for your regsiteration and choose the capacity of this specific type. Capacity should be choosen upon the whole capacity of the event. 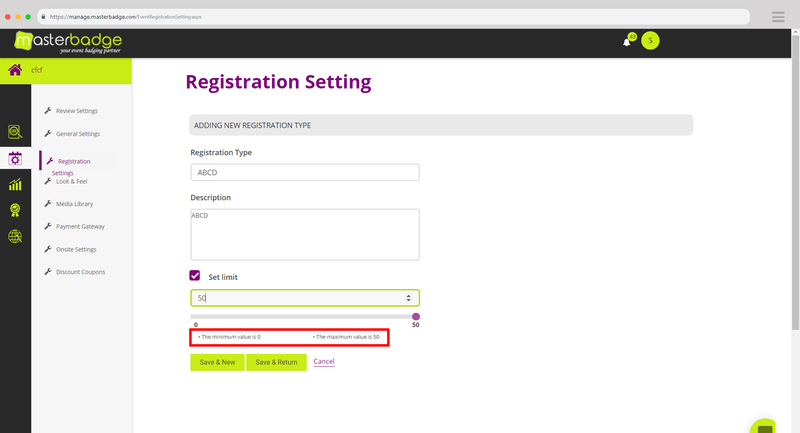 Once you are done with the registration types, click save and return to go back to the registration page. You can add more packages and fees to the default packages and fees automatically created by the system. Once you are done with creating the packages, next step is to determine your fees. By the end of this article you should be able to create the fees packages that you want to be shown in your event registration form.